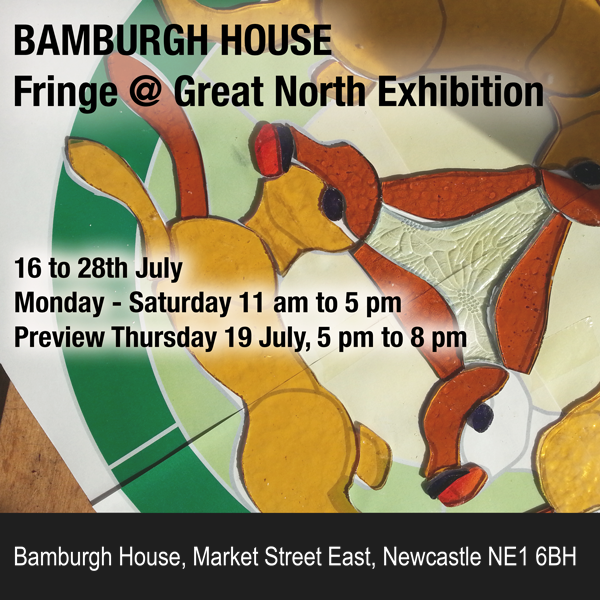 We’ll be exhibiting our Three Hares Dancing Around the Moon in stained glass, along with work and performances by other artist members of Bamburgh House. This is a fringe event alongside the Great Exhibition of the North. Preview Thursday 19th July 5 to 8 pm, to feature live performance and a DJ.